If you are considering applying for an Australian skilled visa and are a citizen of Canada, New Zealand, Ireland, United Kingdom or the United States, you will automatically be assumed to have competent English language skills and thus will not need to complete an English test. If you are not a citizen of any of the above countries, then yes, you must complete an English test. The results of an English test must show that, at the very least, you have competent English language skills. Your English skills will be assessed through either the International English Language Testing System (IELTS) or Pearson (PTE Academic Test). The IELTS has an academic and general training test. You may only be required to take the training test portion of the IELTS. It is best to speak with one of our immigration specialists to find out if this applies to you. Your English skills will be classed as competent if you obtain a score of at least 6 in each of the four bands of the IELTS or a score of at least 50 for each band through Pearsons. It is certainly an advantage to obtain a higher score than “competent” as no points are awarded for a competent result. If you obtain more than the competent level, then you may receive up to 20 points toward your total point score. This can considerably increase your total overall visa point score and thus your chances of obtaining a skilled migration visa. It is extremely advisable that "older" prospective migrants, who will not have the advantage of substantial visa points through age, attempt to obtain as higher English score as possible, so as to assist the overall visa point score. 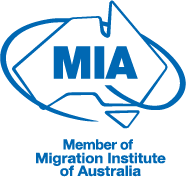 Generally, the majority of invitations to apply for a skilled visa, are issued to those who have a high point score. When lodging your Expression of Interest (EOI) you must provide your IELTS or Pearsons test result as proof of your English language ability and the result must not be more than 3 years old. It is at this point that you will validate your English competence and total visa point score to the Australian immigration department and without the necessary English certificate and required points, your EOI may very well be unsuccessful. If you would like to give yourself the best chance of acquiring a skilled visa and dealing with all relevant visa application issues, we strongly recommend you call Pathway Lawyers & Migration Agents to discuss your application. Newer Post If I get a 190 skilled visa, do I need to stay in the state that sponsored me? Older PostIn an Australian lease, what is the difference between wear and tear and damage? How does it affect my rental bond?